The New Kids In Town are Outlaw Eagles a new tribute band based around Peterborough, playing all the Eagles' classic songs: Hotel California, Take It Easy, Life In The Fast Lane, Take It To The Limit, One Of These Nights and many more. Do you remember 'The Lightning Tree', famous as the theme tune for TV's 'Follyfoot' ? 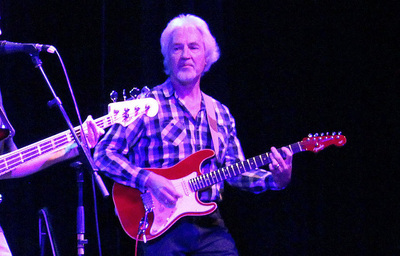 The original Settlers line-up had some personnel changes until Steve and Patty were asked to join founder member Mike Jones to return The Settlers to their original, acoustic, close harmony, melodic style. The band's pop-folk sound was successful throughout the 70's and 80's until the group disbanded. Those songs and harmonies are back..
Who says nostalgia's not what it used to be? A traditional jazz band playing fun vintage jazz tunes and Dixieland favourites in the streets of Stamford, Oakham, Corby, Uppingham and maybe your town?. We're available for barbecues and summer parties. at the Stamford Masonic Centre. Singer-songwriter Lesley has released several albums and starred in her touring show 'A Musical Tribute to Eva Cassidy'. Lesley's music covers country-rock, blues, folk, gospel and jazz. Her most recent albums of original songs recorded with the band, are "Naked" and "Looking For The Girl". I'm very privileged to have played in her band, and recorded and mixed those two albums. ​ Lesley also played some acoustic gigs with Dave Smith and myself. including some of the original members from way back. 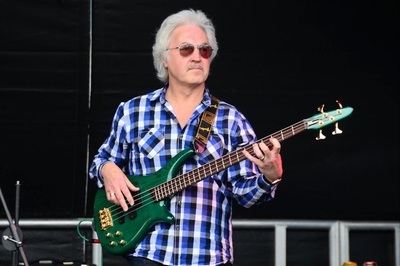 We've played the Spilsby Theatre, The Granary Theatre, on the Scania Trucks stand at The Lincolnshire Show, at The Melton Country Fair, and accompanied local country star Jed Ford at Peterborough's Broadway Theatre. Laid-back, sophisticated jazz vocals tinged with soul, from Lesley Curtis, accompanied by smooth jazz guitar. Playing standards, gentle blues, and pop ballads. Perfect for restaurants, formal dinners and weddings. Trad Jazz band from the Wisbech delta! Phone Mike Fisk for details and bookings on 01945 700617. We also have a 'live' CD available now with all your Dixieland favourites. 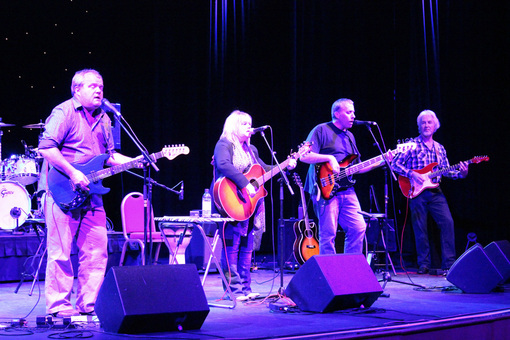 A truly unique show which brings the﻿ inspirationa﻿l music of Eva Cassidy to the stage. Lesley talks about Eva’s journey through life, about her artistry, her spirituality and the events leading to her tragic death from cancer at the age of only 33 years old. "Amazing voice, beautiful songs, beautiful evening - Thank you"
and featuring the fabulous voice of Helen Emery. for their occasional re-union gigs. A swing trio - piano, guitar and bass, accompanying the unique and fabulous voice of Ms. Helen Emery. Playing smooth jazz, and classic songs from The Great American Songbook. Perfect for an intimate evening, a dinner-dance, or a small theatre. I occasionally stand in on guitar, bass, banjo, ukulele or lap steel in other bands. 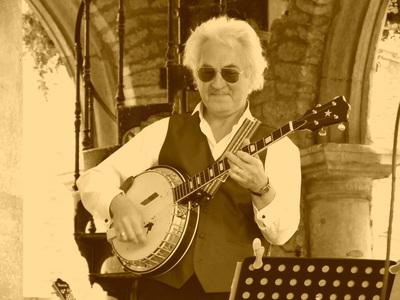 I've played a few dates with The Fenny Stompers from the Milton Keynes area - a really fun trad jazz band. Also Georgia Pine, a Norfolk-based band playing traditional and modern country music. On bass guitar with local pop/party bands Top Notch and Page 8.
a trio playing mainly Irish folk songs. 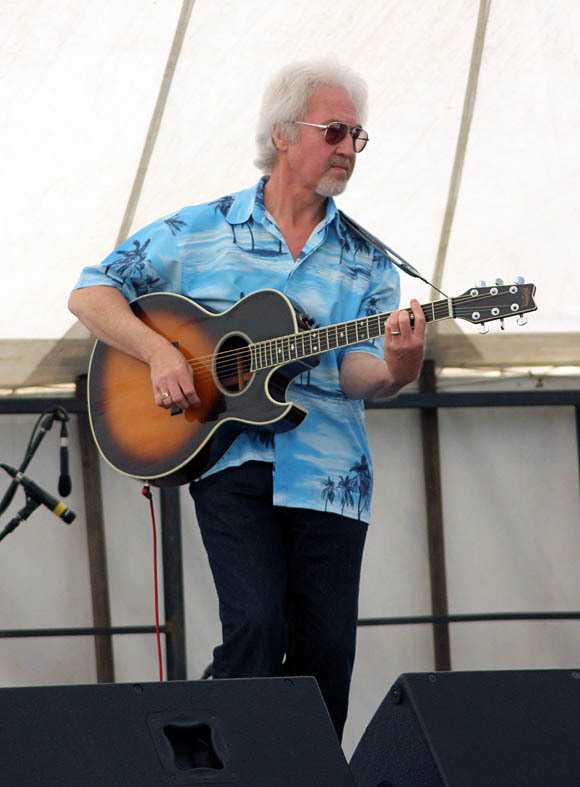 Over the last few years I've occasionally played guitar in the band for the fabulous live shows at Wicksteed Park in Kettering. Our little function band Special Delivery is no more. Bob (lead vocals and bass) has emigrated to the sun. Over many years we've played together in pub bands and on rock stages. We played everything from quiet jazz to rock - Bob could sing anything. Over the past few years we supported Ricky Valance at The Blackfriars Theatre, Boston, and have played the Granary Theatre, Wells, The Bourne Corn Exchange, and many country music clubs. 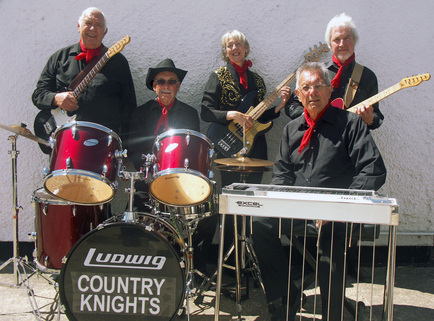 The line-up featured The Wrights (pedal steel and vocal duo), Drummer Reg (the brains behind the outfit), and Ron Ryan, an unsung hero of British rock n' roll and country music.